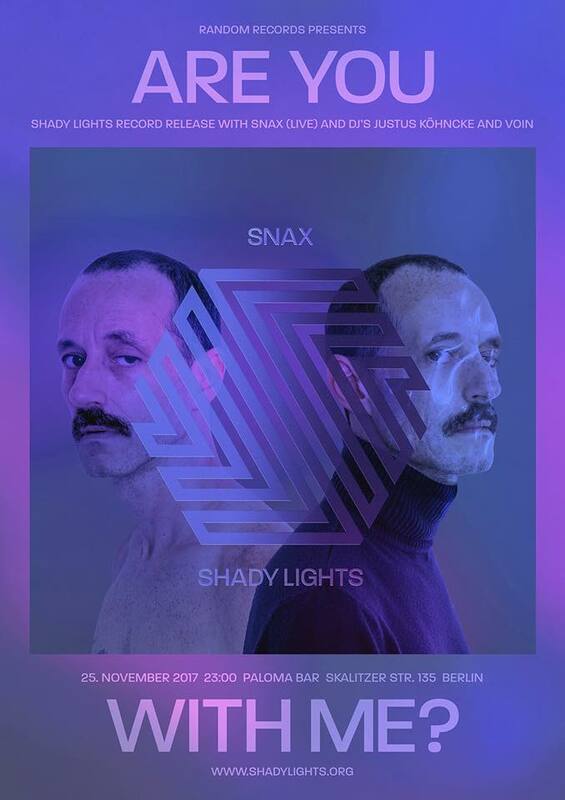 Join Snax, Hil, and all the followers to Paloma Bar to celebrate the release of Snax’s fourth album, SHADY LIGHTS, this Saturday November 25th. In the fabulously renovated upstairs room at Paloma, there will be an intimate live performance from Snax in between dance floor filling sets from Voin and Justus Köhnke. So get your Hands Dirty, Turn It and Follow The Shady Lights!